There are two advents: He’s coming again! News stories on the internet, radio, TV and newspapers often arouse our fears of impending danger, trouble and evil. They seem to feed on the fact that we all experience anxiety and worry. For example, we can be worried or alarmed about: unemployment, money, relationships, loneliness, security, crime, terrorism, illness, aging, climate change, technological change, cultural change, moral change, our circumstances, our choices, the future, or the unknown. About 2,000 years ago, Mary lived in Nazareth, a village about 115 km north of Jerusalem, which was more than two days of travel. She was far from the capital city of Israel. One day God sent an angel to visit her: “The angel went to her and said, ‘Greetings, you who are highly favored! God is with you.’ Mary was greatly troubled at his words and wondered what kind of greeting this might be” (Lk. 1:28-29TNIV). Mary would have been surprised by the angel Gabriel, because she had never seen an angel before. Six months earlier the priest Zechariah was “startled and gripped with fear” when the same angel appeared in the temple in Jerusalem (Lk. 1:11-13). If an old Jewish priest was terrified by the angel, then it is understandable that a young woman would also be terrified by the appearance of the same angel. Being alone with an angel could be scary. Mary was worried about what the angel’s message meant. She would have known that God used angels to proclaim important messages. Was it bad news? She would have also known that angels can be God’s agents of judgement. Was she feeling guilty? As this was a circumstance that she had no control over, she may have felt helpless. Then she was told, “Don’t be afraid”. Why? Because she had found favor with God and would have a son named Jesus. “He will be great and will be called the Son of the Most High” (Lk. 1:30-33). God had chosen her to be the mother of the long-awaited Jewish Messiah, who would establish the kingdom of God on earth. This was a radical change in her life, because a baby changes everything, particularly the first-born. Nevertheless, her fears and anxieties were allayed and replaced with joy which she expressed in a song of praise for all that God had done (Lk. 1:46-55). 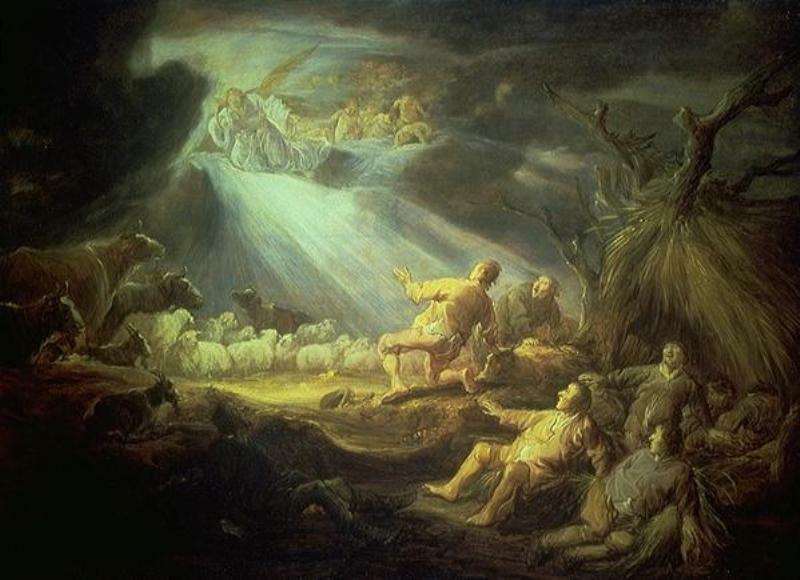 Nine months later the shepherds at Bethlehem had a similar experience: “they were terrified” when an angel appeared to them and God’s glory blazed around them like a supernatural search light (Lk. 2:9)! An angel appearing in the countryside during the night with a bright light would be scary. This was totally outside their experience. What was going to happen next? Were their lives in danger? They were given the same reassurance as Mary, when the angel said, “Do not be afraid. I bring you good news that will cause great joy for all the people” (Lk. 2:10NIV). 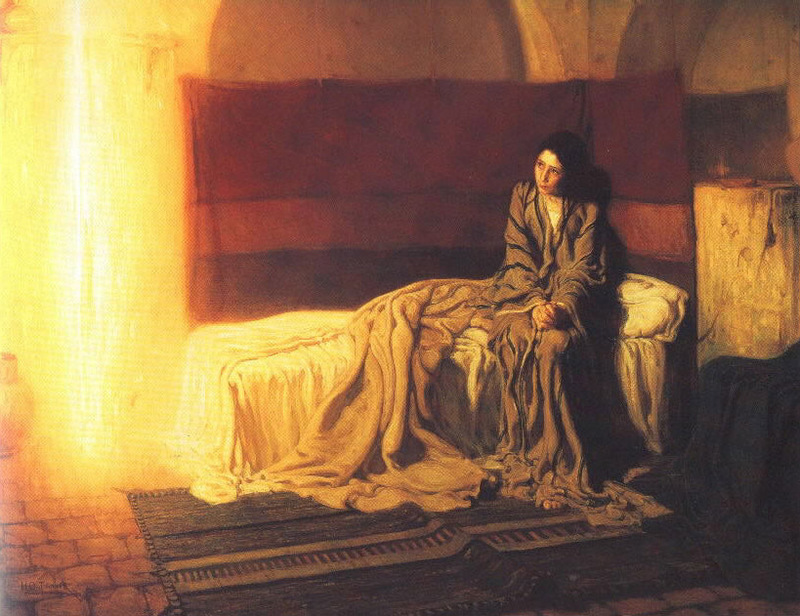 Mary’s promised baby had been born and they were told how to find Him. After seeing the baby Jesus for themselves, they also praised God “for all they had heard and seen” (Lk. 2:20). According to the Bible, the baby Jesus grew up to be a man who was the unique Son of God who came to take our judgement. After Jesus told His disciples that He was about to die and return to heaven, they were “filled with grief” and wept and mourned and felt abandoned (Jn. 16:6, 20TNIV). After all, they would be without the leader that they had followed for at least three years. But like Mary and the shepherds, they were told, “Do not be afraid” (Jn. 14:1, 27bNIV). Three reasons were given for not being afraid of their new circumstances. First, they were assured of a home in heaven if they trusted Christ – because Jesus was the only way there. Jesus said, “Trust in God, trust also in Me” and “I am the way and the truth and the life. No one can come to God the Father except through me” (Jn. 14:1b, 6). 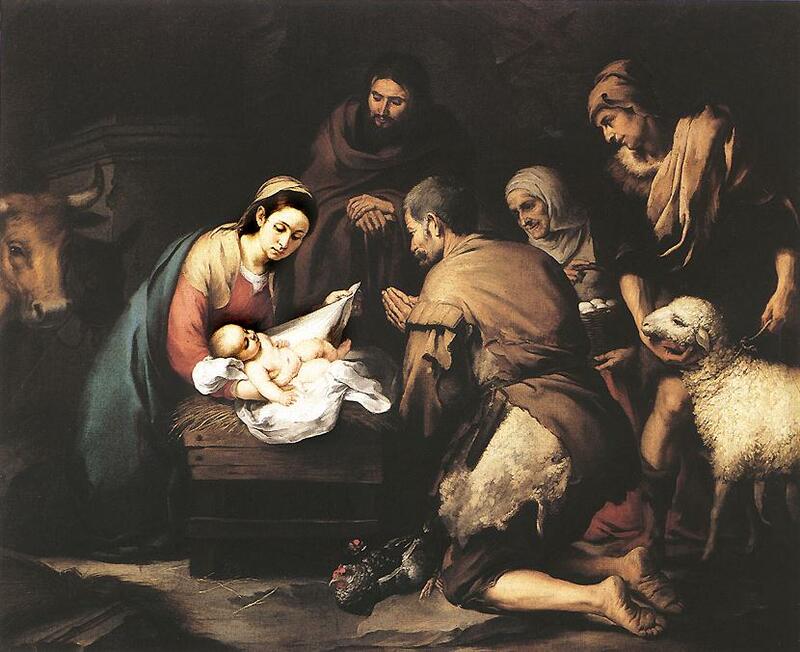 That’s why the shepherds were told that the baby was a Savior; one who could rescue them. Faith in Christ is necessary for eternal life which is the ultimate cure for our anxieties and worries.Second, Jesus would return and take them to be with Him; He said “I will come back and take you to be with Me” (Jn. 14:3, 28). Although He was going away, they could look forward to a reunion with Him. Third, in the meantime the Holy Spirit would always be within them – the Holy Spirit “will be with you forever” (Jn. 14:16). They would not be like orphans (Jn. 14:15-21, 25-27). This was like having Jesus with them all the time, not just sometime! So, they had a Savior who was going to take them to heaven and God the Holy Spirit was always going to be with them. Like Mary and the shepherds, Jesus said that their grief would be turned into lasting joy (Jn. 16:20-23). The illustration He used was how a mother’s pain turns to joy after the birth of her baby. At Christmas we remember the unique birth of the Lord Jesus Christ who was both divine and human. This was His first advent. He was sent to earth by God to die for us in order to enable us to be reconciled with God. The Bible says that God so loved the people of the world that He gave His one and only Son, that whoever believes in Him shall not perish but have eternal life (Jn. 3:16). 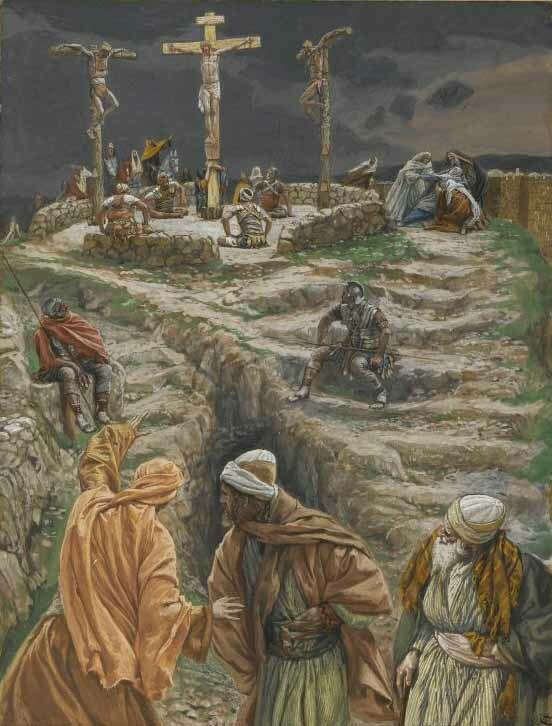 After His death, Jesus was buried and He rose back to life three days later. Those who accept His free gift have peace with God and an inheritance of eternal life. We must receive what Christ has done for us before God will give us eternal life. However, those who don’t accept the gift face God’s judgment of eternal punishment; that’s what the word “perish” means in John 3:16 above. Forty days after His resurrection, Jesus ascended back to heaven by disappearing in a cloud. Then the eleven apostles were told, “This same Jesus, who has been taken from you into heaven, will come back in the same way you have seen Him go into heaven” (Acts 1:11NIV). So, Jesus is going to return to the earth. This will be His second advent. At Christmas we look back to the first coming of Christ and look ahead to the second coming of Christ. In His first coming He suffered and died; in His second coming He will conquer and reign. In His first coming He came as a baby and a suffering servant ((Isa. 52:13-53:12); in His second coming He will be a conquering king ( Rev. 19:16). That’s when He will be the king of the Jews. In His first coming He came to be a Savior; in His second coming He will be a Judge. The first is characterised by a cross and the second by a crown. Did you know that all of God’s creation looks forward to the Lord’s coming reign over the earth? When the Lord returns to set up His kingdom, the creation will be released from the affects of humanity’s rebellion and re-created to be “very good” like it was in the beginning. The Garden of Eden will be restored (Acts 3:21). There will be harmony between all of God’s creatures. This is when, “The wolf will live with the lamb, the leopard will lie down with the goat” (Isa. 11:6-9TNIV). All the wrongs will be made right. All evil will be judged. Satan will be bound and unable to deceive people (Rev. 20:1-3) . All environmental problems will be solved. There will be justice and no wars. That’s when believers will be blessed materially as they rule with the Lord. In the meantime, they are already spiritually part of this new creation. Those who believe that the Savior died for them don’t have to worry, because Jesus is returning. What can we learn from this as we live between the two advents of Jesus Christ? Mary and the shepherds faced supernatural circumstances and the disciples faced the loss of their Master and closest companion. We may not face supernatural circumstances, but at times we all face difficult circumstances and the loss of those who are near and dear to us. Like them, there are circumstances that we have no control over. Like them, we can experience anxiety, fear and worry, which can lead to panic and depression. But in their case, God’s solution led to joy. Remember the message, “Do not be afraid”. The reasons given to the disciples also apply to us. If we have trusted Jesus as our Savior our fears can be changed to joy and we can look forward to eternal life instead of eternal judgement. If we have not , then we will face Him as our judge. If we are true believers, the Holy Spirit is in us all the time. This transforms our lives. As believers we can look ahead to the second advent when the Lord Jesus will come and rule over a restored creation. Another way to remove anxiety and fear is to “rejoice with those who rejoice; mourn with those that mourn” (Rom. 12:15). This involves sharing the feelings and the emotions of the good times and the bad times. This means listening to what life is like for others and validating their feelings. This means helping them realise that they are not alone. This means praying with them. This means talking about God and what He has done and what He has promised. These encouraging activities can help us get through all circumstances. He’s always with us and He’s always on our side, no matter how bad it gets. Believers are never alone; they have both spiritual and human resources to draw on. So, don’t worry, Christ has been here once and He’s coming again to fulfill all of God’s promises. This entry was posted on January 4, 2010 by George Hawke. It was filed under Christian, Christmas, Spiritual, Trials and was tagged with advent, afraid, angel, anxiety, Christ, Christmas, disciples, fear, grief, joy, judge, loss, Mary, reign, Savior, second coming, shepherds, worry. I am agnostic. But I believe there will be the second Jesus in the next few years, but he is not Jesus Christ. The second Jesus will reveal many secrets in every faith which will decrease the conflict between religions. Since the Ajna is opened, anyone in heaven will not reincarnate anymore. 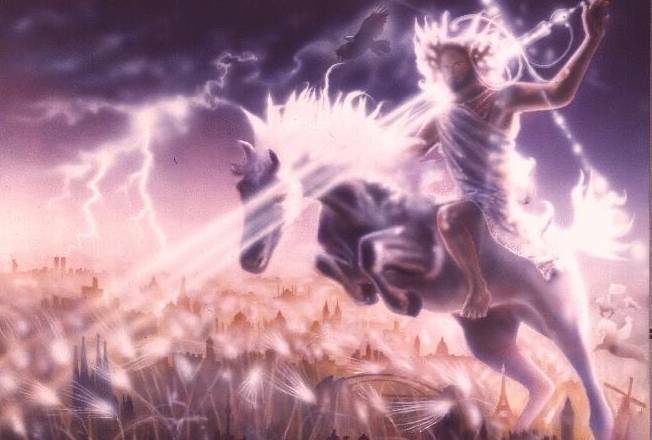 Revelation 19:11-21(NLT): Then I saw heaven opened, and a white horse was standing there. Its rider was named Faithful and True, for He judges fairly and wages a righteous war. His eyes were like flames of fire, and on His head were many crowns. A name was written on Him that no one understood except Himself. He wore a robe dipped in blood, and His title was the Word of God. The armies of heaven, dressed in the finest of pure white linen, followed Him on white horses. From His mouth came a sharp sword to strike down the nations. He will rule them with an iron rod. He will release the fierce wrath of God, the Almighty, like juice flowing from a winepress. On His robe at His thigh was written this title: King of all kings and Lord of all lords. Then I saw an angel standing in the sun, shouting to the vultures flying high in the sky: “Come! 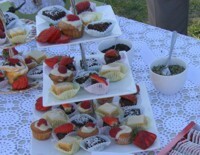 Gather together for the great banquet God has prepared. Come and eat the flesh of kings, generals, and strong warriors; of horses and their riders; and of all humanity, both free and slave, small and great.” Then I saw the beast and the kings of the world and their armies gathered together to fight against the one sitting on the horse and His army. And the beast was captured, and with him the false prophet who did mighty miracles on behalf of the beast—miracles that deceived all who had accepted the mark of the beast and who worshiped his statue. Both the beast and his false prophet were thrown alive into the fiery lake of burning sulfur. Their entire army was killed by the sharp sword that came from the mouth of the one riding the white horse. And the vultures all gorged themselves on the dead bodies.